A fresh start at college is exactly what Kate needs to ease the burden of her family secrets. When she meets the confident and charming Aaron Jackson, she weaves a new history for herself to fit into his seemingly perfect life. But the past refuses to stay where it belongs, causing a rift between their contrasting worlds. When Ben reappears in Kate's life, she is only pulled deeper into the childhood that she's tried to forget. Driven by the abuse and pain that still lingers within him, Ben seeks Kate's help in making a change. But in this journey for retribution, lines blur between courage, justice, and revenge. Bound by their shared and damaged youth, Kate is forced to choose sides, and fast. The final act is almost here, and time is running out. Earth God is the fourth and final book in the best-selling World Aflame Saga. 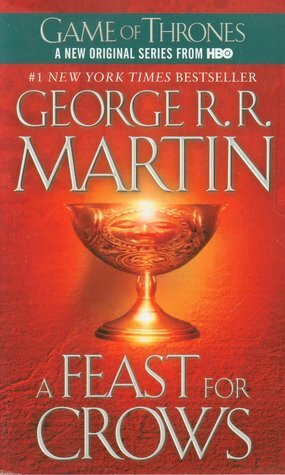 Best read as part of the series. If you haven't already read this award winning series, we recommend you check out the first novel— Wind Warrior— for FREE today! Earth God is a New Adult paranormal / dystopian novel that can also be enjoyed by the Young Adult reading audience. The Fire Elemental has risen and its followers, the Fire Caste, have destroyed the planet. Humanity hangs on the cusp of extinction; their only hope now lies with the troubled Wind Warrior, Xander Sirocco. Xander has absorbed the power of the Wind and Water Elementals but at great personal cost. Finding Sammy has been his anchor through the chaos around him, but now he finds himself wondering if saving her is enough. Sammy remains a prisoner of the Fire Elemental, her mind trapped, as the dragon possesses her body. Her love for Xander keeps her going, but will her passion be enough to stop the Elemental from killing Xander once and for all? Humanity's last hope rests in Xander finding the Earth Elemental. Claiming the power of the Earth is the last step before he can confront the dragon holding Sammy hostage. Unfortunately, he's not the only one who knows the location of the Earth Elemental. 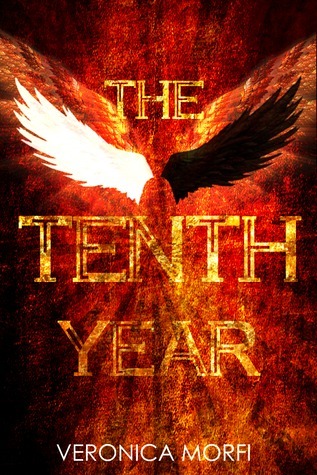 It's a race against time between Xander and the dragon to claim the last of the Elemental power and bring an end to a war that's spanned millennia. Earth God is the exciting conclusion to the bestselling and award-winning World Aflame series. 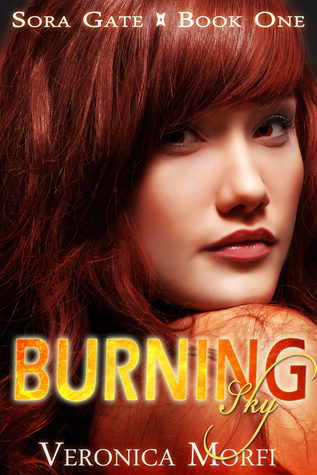 Kindling Flames: Granting Wishes is a fun novella developed within the Kindling Flames world. This novella can be read on it's own or as part of the series. While Granting Wishes does not revolve around the main characters of the Kindling Flames series, both Victoria and Darrien have walk-on roles. If you haven't read any of the Kindling Flames books, we recommend you definitely check out Kindling Flames: Gathering Tinder, which is currently free. Find out why this New Adult Paranormal Romance series has remained a best-seller since day one. The Contradictions Series Cookbook is a recipe book based on the Contradiction Novels by Peggy Martinez. The characters and stories found in the Contradiction Novels may be fictional, but the love the author has for all things country and southern is all too real. In this recipe book, you will find over fifty recipes that have been southern-kitchen tested and country-simple approved. Some have been passed down for generations, and some are just plain easy and fun. But all of them could have easily been one of the recipes Jennifer Collins uses in Sweet Contradiction or Perfect Contradiction. So, pull a chair up, grab a glass of sweet iced tea, and expect your little heart to be blessed. We're glad y'all are here. When Beth Michaels high tailed it out of the hole-in-the-road town she grew up in, she only had two goals. One--get as far away as quickly as possible, and two--never set foot in her parents' home again. But when she receives a heart breaking call from her childhood best friend, Jen, she has no choice but to turn her '56 Ford pickup back in the direction of Salem, Missouri to attend a funeral. Unfortunately, Matthew Wright breaks all her rules and then some. Matt might be from a small town and have small town values, but that doesn't mean he fits into a little slot of Beth's preconceived notions. After all, ever so often good guys are good. Now if he could just convince Beth to let go of her past and give him a chance, he's pretty sure there's a whole lotta sweet under that prickly exterior. His own ... Sweet Contradiction. The Thrillogy by Todd Strasser is a trilogy of standalones, which means you can read whichever story seems to pique your interest, even if it's not the first one. But I highly recommend you read all three of them because these books are amazeballs. 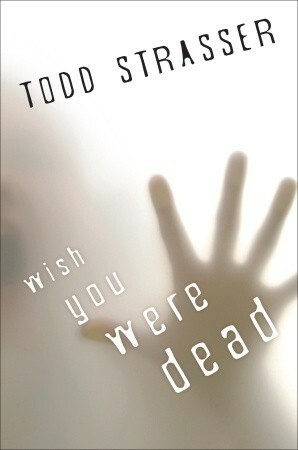 Wish You Were Dead is a very intriguing story about teenagers going missing after a blogger, Str-S-d, wishes they were dead. One after the other the bullies of Soundview High are nowhere to be found and Madison finds herself filled with guilt because she is the one person they see or talk to last. But the mystery of the kidnapper is not the only one Madison will have to solve. She needs to find who her mysterious cyber stalker is and if the new guy she is falling for had anything to do with the missing kids. I adored this book. It had everything a good thriller book should. A ton of mysteries to solve, a few red herrings, multiple (and usually messed up) PoVs, and a nail-biting ending. I was glad after all that this was a standalone, because I could wait a minute longer to find the answers to all the mysteries. I really enjoyed the blog posts of Str-S-d, and the different PoVs, it just gave you an insight on everyone's mind. Also that ending was like a good old horror movie. All in all I loved it. That being said, this is my least favorite of the Thrillogy, which just means that the next books are simply amazing!